We talked about why nothing spectacular happened in 2012, what it’s like to go down in the center of the earth in a plasma ship with 500 other people, where some of the Pope’s have stood in relation to ET’s, our planetary conscious evolution and much much more. Drunvalo also talks about what it was like to be on board a UFO and what a specific group of aliens told him about our earth history. It’s interesting also what he had to say about the Vatican and the Men In Black. He talks about his meetings with the Illuminati and their feelings about us, and the Lucifer rebellion that has been going on on thousands of other planets that have been destroyed by some of these ET races. And if you have ever wondered what the Jewish people have to do with all of this, Drunvalo has a very interesting take on things. We even touched upon the Anunnaki and the Sumerian clay tablets and Nibiru. I became friends with Drunvalo when I interviewed him for my book, To Believe Or Not To Believe: The Social & Neurological Consequences of Belief Systems. BIO: Drunvalo is the author of five books including The Ancient Secret of the Flower of Life, Volumes I & II, Living in the Heart, Serpent of Light and his newest one, The Mayan Ouroboros. These books have been published in 29 languages and reach out to over one hundred countries throughout the world. He has been on television and the Internet, and written about in magazines, newspapers and books all over the world. Having left the United States over 280 times, Drunvalo is a world traveler helping people understand their intimate connection to God. Drunvalo is the first person in the world (in modern times) to mathematically and geometrically define the human light body called in ancient times the Mer-Ka-Ba. 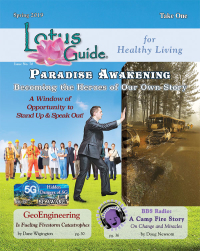 He is a consultant for the international Internet magazine, Spirit of Maat, with over 1 million viewers each year. 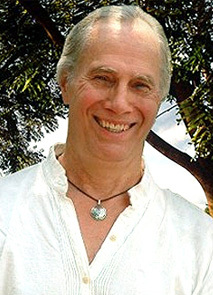 He is the founder of the Flower of Life Facilitators that have been teaching his work in over 60 countries. Drunvalo is the author of four books including The Ancient Secret of the Flower of Life, Volumes I & II, Living in the Heart and his newest one, Serpent of Light. These books have been published in 29 languages and reach out to over one hundred countries throughout the world. He has been on television and the internet, and written about in magazines, newspapers and books all over the world. Having left the United States over 280 times, Drunvalo is a world traveler helping people understand their intimate connection to God. Drunvalo is the first person in the world (in modern times) to mathematically and geometrically define the human body light body called in ancient times the Mer-Ka-Ba. 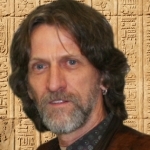 He is a consultant for the international internet magazine, Spirit of Maat, http://spiritofmaat.com/ with over 1 million viewers each year. He has now founded his newest (and complete) teaching in a facility called School of Remembering with the Awakening the Illuminated Heart Teachers who are beginning their global work. Drunvalo graduated from the University of California at Berkeley with a degree in fine arts. He also has a minor in physics and math with only one quarter to finish his degree. He lives in Sedona, Arizona with his loving wife Claudette. He has six grandchildren.